What is the Momentum BIG5 Challenge? The Momentum BIG5 Challenge has become a bucket list item on the endurance and adventure race calendar. In this multisport stage-race event, athletes compete in five pre-determined events. A point system is used to determine the winners for the BIG5Lite event whilst the BIG5 will be scored off accumulative time. Can I do the BIG5 Challenge? If you are a regular competitor of similar events (stage and/or multisport), then your ability and fitness level should be sufficient to tackle the BIG5 Challenge. We suggest you look at each individual event on the schedule and ask yourself if they are all achievable in isolation, then consider your recovery period for each event and match this with the requirement to perform the next day in order to assess your compatibility within the BIG5 Challenge. On entering a multi-sport / multi-day event an athlete must be aware of the risk level needed to perform daily within 24 hours (sometimes less than this). Athletes must know their thresh-holds and when competing outside of their comfort zone the importance of dealing with hydration and muscle fatigue. What are the BIG5 Challenge Events? Must I race as an individual or can I enter in a team? Due to popular demand, in 2018 the Momentum BIG5 Challenge will be offering athletes the opportunity to enter as a team. Enter a team of between 3 – 5 athletes in either the BIG5 or the BIG5Lite, then after each event the top 3 scores/finish times in each team will count towards the Team Challenge competition. There will be prizes up for grabs for the winning team at the end of the competition. Entries close at midnight 12th June 2018 or when the race capacity has been reached. Once entries close you may request to be placed on a waiting list and should there be cancellations, you will be allocated an entry. Late entry fees will apply. Late entries from the 1st June till 12th June Additional fees apply. Deferrals to the 2019 event will not be permitted. However, participants may be allowed to transfer their entry to another athlete. Refer to transfers. Note: The Knysna Forest Marathon charges an additional R1 000 late fee after 1st June through to 12th June. After 20 June 2018 no refunds will be applicable due to the committed costs incurred by the event in respect of your entry. Entries can be transferred to another person as long as the substitution request is submitted before midnight 12 June 2018. Thereafter no transfers are allowed. Do I need to purchase a day license? If you are not an annual CSA or ASA license holder then yes, a day license will be applicable to Momentum Weekend Argus Cycle Tour, The Momentum Health MTB X and the Momentum Cape Times Knysna Forest Marathon. Please check with the individual events for the federation license requirement prior to entering. I have not received my confirmation email after registering? Please contact Race Office via email raceoffice@worldsport.co.za, and a copy of your confirmation email will be forwarded to you. What are the age restrictions for entering the BIG5 and BIG5Lite? Registration/Race Pack Collection will take place at Premier Hotel, 1 George Rex Dr, on Friday 29th June between 2pm and 6pm. Is there a race briefing and is it compulsory? Yes there will be a BIG5 Challenge Race Briefing and it is compulsory for all BIG5 Challenge Athletes to attend. The Race Briefing will take place at 6pm on Friday 29th at Premier Hotel, 1 George Rex Dr.
Can I upgrade or downgrade between the BIG5 and BIG5Lite? No upgrades or downgrades between the BIG5 and BIG5Lite will be possible. We would need to cancel the original entry and re-enter the desired race in order to resolve. This will be subject to the cancelation policy and late entry dates. Must we sign an Indemnity/disclaimer? Yes, ALL BIG5 Challenge athletes will be required to sign an indemnity at Registration. What must be brought with to registration? Your BIG5 Challenge race number confirmation together with positive identification such as an ID Book or a driver’s license must be produced at registration. No third party collection. Must I attend each events Race Briefings? All participants must attend the BIG5 Challenge Race briefing. It is also a requirement of the individual events that all athletes attend these briefings too. What Race Rules apply in the BIG5 Challenge? Each sport has their own set of rules that comply with the National federation rules, Pick n Pay Knysna Oyster festival rules as well as those of the event organiser and of BIG5 Challenge. Please make yourself aware of these and adhere to them. How does the BIG5 Challenge Scoring System work? The BIG5 competition will be scored on the athlete’s accumulative finish time from each event. The BIG5Lite competition will be scored on a points system relating to the athlete’s finishing position within each event. Wrap your head around it here. Results will be posted after each event on the Results board within the BIG5 HQ & Hospitality Zone at Cruise Café. What are the BIG5 Challenge Competition Rules? Finishers Medals will only be awarded to those BIG5 Challenge competitors who have successfully completed all 5 events within their challenge, as verified by the individual events.  To be in contention for any prizes, the BIG5 Challenge Athlete would need to have successfully completed all events within their challenge to that point. They will no longer qualify for the BIG5 Challenge Competition. They may continue to participate in the remaining events as an individual. They may continue to take advantage of their BIG5 Challenge benefits. They may take podium at any event but will not be recognised as podium within the BIG5 Challenge Competition. BIG5 and BIG5Lite winners will be awarded at the Finale Prize Giving on Saturday 7th July 2018 at Cruise Café directly after the Forest Marathon Prize Giving. What Prize money is at stake in the BIG5? Only BIG5 entrants are eligible for the Prize Money i.e. BIG5Lite athletes will not qualify for any prize money but will be awarded accordingly with podium medals and other. Winning athletes must be present at prize giving to collect their prize. Prize Money will only be paid out once the race results have been verified. All participants in the BIG5 are eligible for the prize money i.e. The Athlete with the least accumulative time will be deemed the overall winner. the athlete with the second least accumulative time is second, etc. irrespective of the age group category. There will be a separate competition for Males & Females. An athlete is eligible for only one cash prize. There will be a prize giving after every race where the BIG5 Challenge podium finishers will be recognized under their respective race distance categories. The Official BIG5 Challenge Finale Prize-Giving will take place on Saturday 7th July at Cruise Café. The Finale Prize-Giving will be free to all BIG5 and BIG5Lite competitors. Partners and Children are welcome. Confirmation of attendance to be completed by Tuesday 3rd July at the BIG5 HQ & Hospitality Zone. The tables below show the breakdown of podium medals that will be awarded at the respective BIG5 Challenge Prize Giving Functions on Saturday 7th July. Any additional prizes are subject to change and therefore will be communicated closer to the event. Is there a preferential start group for the BIG5 and BIG5Lite entries in each event? There will be preferential start groups in the Momentum Weekend Argus Cycle Tour, the Featherbed Trail Run and the MTB X, for all BIG5 and BIG5Lite athletes. What are the various Start times? What are the costs of any Temporary License fees? Are Timing Chips compulsory for all the events? Each of the individual events run on their own timing systems as listed below. For 2018, all BIG5 & BIG5Lite athletes will be issued with a BIG5 specific timing device at registration. This is to be worn during every event along with the below listed event timing chips. This is to ensure that the athlete receives results for the individual event as well as live results for the BIG5 Challenge. Will all events use race numbers? Where must they be displayed? Bike numbers must be mounted on the handlebars facing forward. These bike numbers contain the timing chip. There are no numbers to be worn on the athlete’s body. Race Numbers must be worn on the back of the body and timing boards are to be secured to handlebars of bike. All athletes will receive a race bib with their race number on to be worn for the duration of the race and handed back to the organisers after finishing. Where will results be displayed? Provisional results will be available live online and printed out on the notice board at the BIG5 HQ & Hospitality Zone at Cruise Café after the event. Verified GC results will be posted on the website by 19:00 the same evening of the race. Is there any special equipment I need? You will need to have all of your own equipment for each event. No equipment will be lent to any athlete. Wetsuits – For the Knysna Lagoon Mile Swim – wetsuits will most likely be optional. Please note however that the water temperature in winter in the lagoon averages around 13-17 deg but can reach as low as 9 deg. Personal Audio/Music Devices: No type of sound/music device is allowed during competition. Examples: NO headsets, tape players, CD players, MP3 players or 2-way radios may be worn. If you would like to use a Go-Pro to capture your race, you will need to check with the individual events for their ruling on this. Must club colours be worn in all events? Club colours must be worn for the Momentum Cape Times Knysna Forrest Marathon only. Athletes to please check requirements with each individual event. Event and federation rules apply. What is the BIG5 appeal procedure? Please note that the Partner Events are stages and officiated by each of the Partner Event Organisers and associated federations respectively. The BIG5 Challenge results are taken form each Partner Event’s results, therefore any dispute with regards to their results or position need to be lodged directly with the respective event organisers. It is also up to each athlete to understand the process, for objections or queries for each partner event. Is there a kid’s zone at the race village? Yes, the Momentum Children’s zone on the top field of the Pick n Pay Knysna Oyster Festival Grounds is the official kids’ zone, this will be in operation on both weekends of the festival but not during the week.